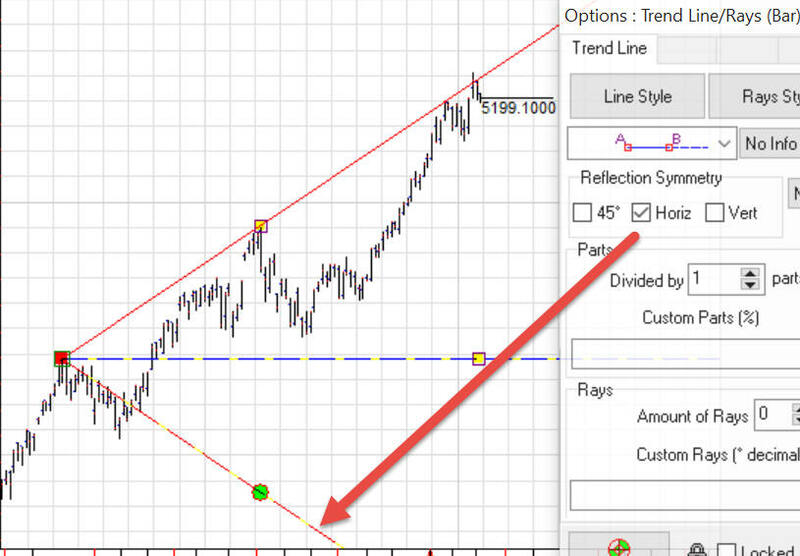 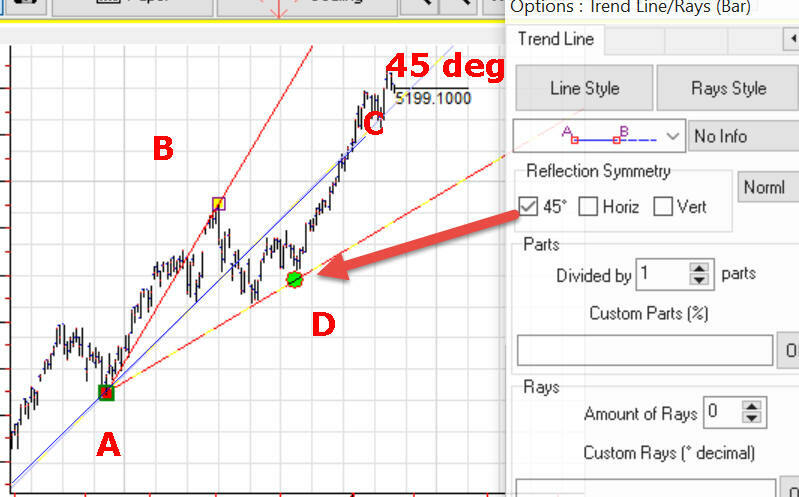 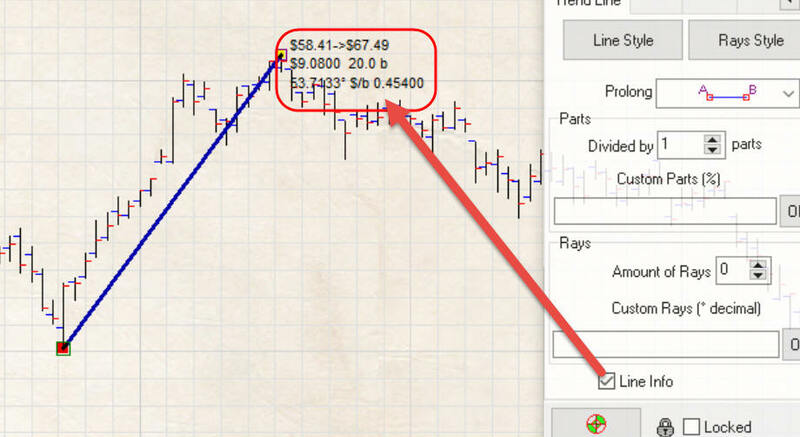 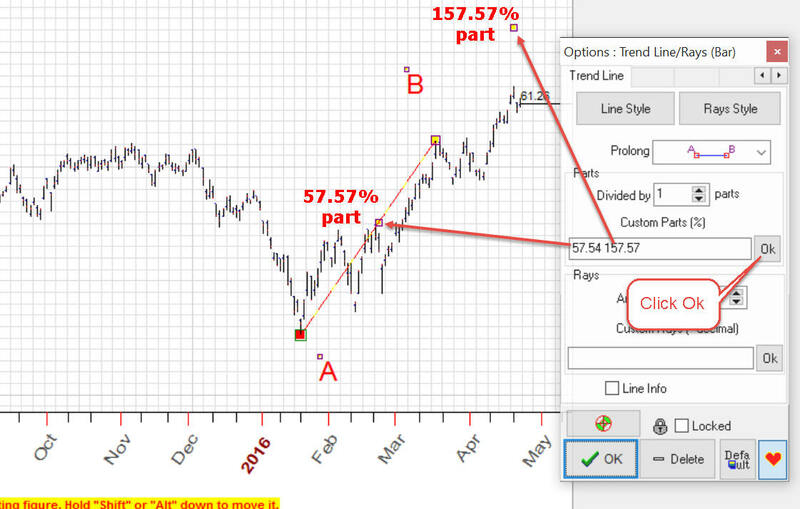 In this class I will show what you can do using the simplest charting tool "Trend Line" in Timing Solution. 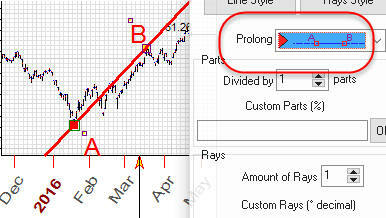 There are also features that allow to work with rays/angles. 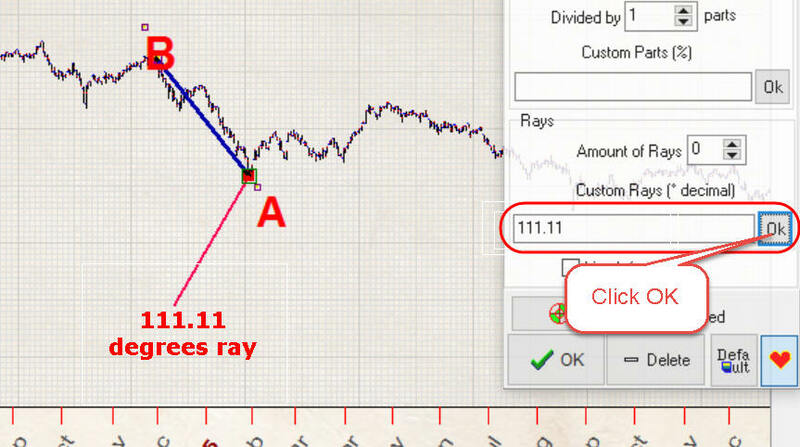 It displays: prices, price change and time change, angle (decimal format) and price to time ratio. 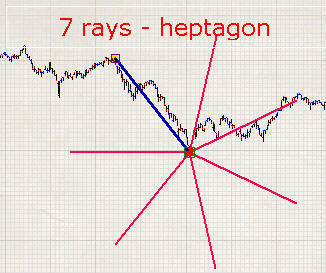 In this case, the program shows seven rays with the same radius as the initial trend line, separated by 51.43 degrees from the trend line; in other words it shows a regular heptagon. 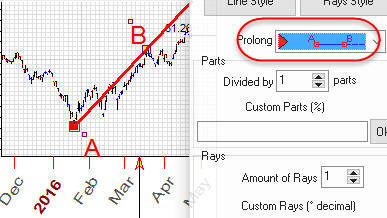 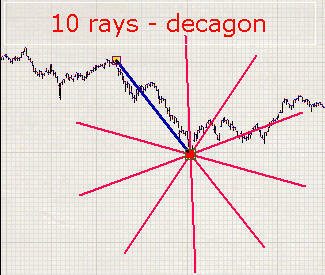 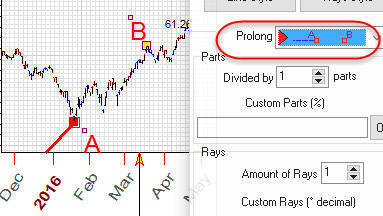 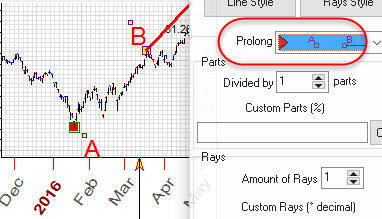 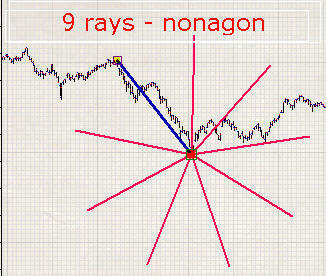 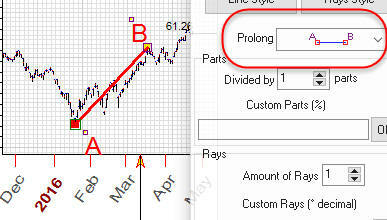 Moreover, these rays provide a set of snapping points that can be used in your charting. 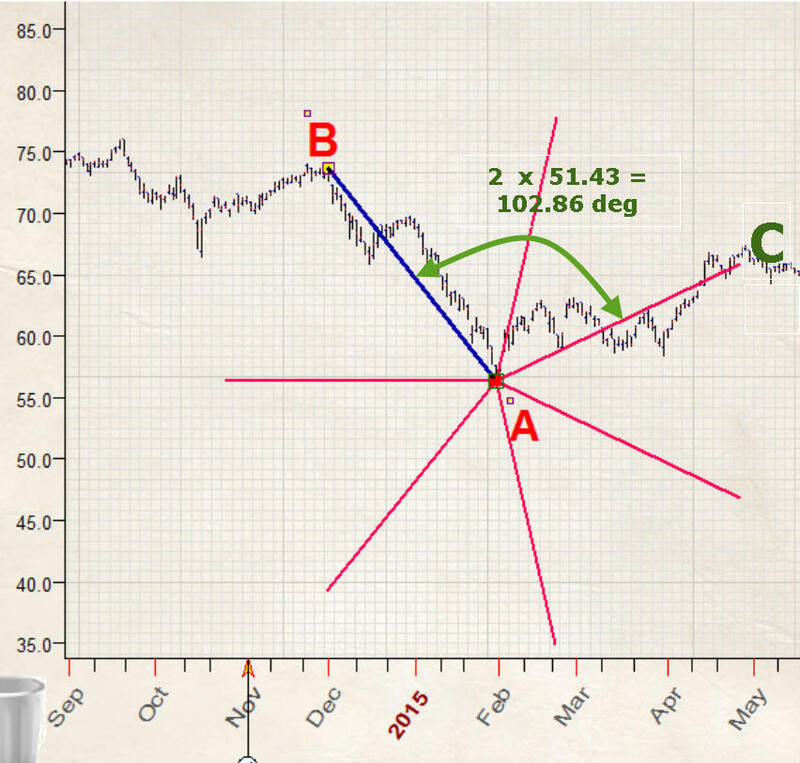 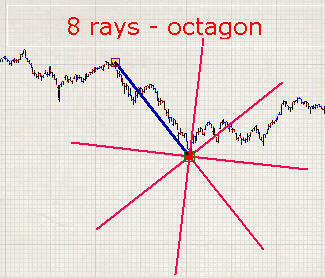 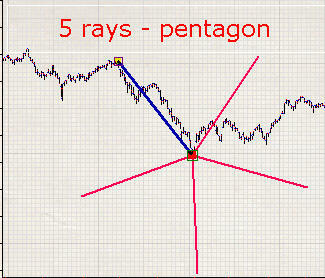 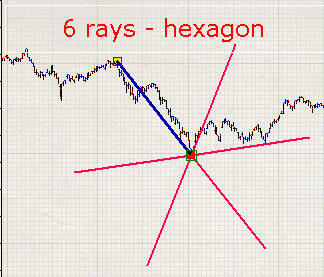 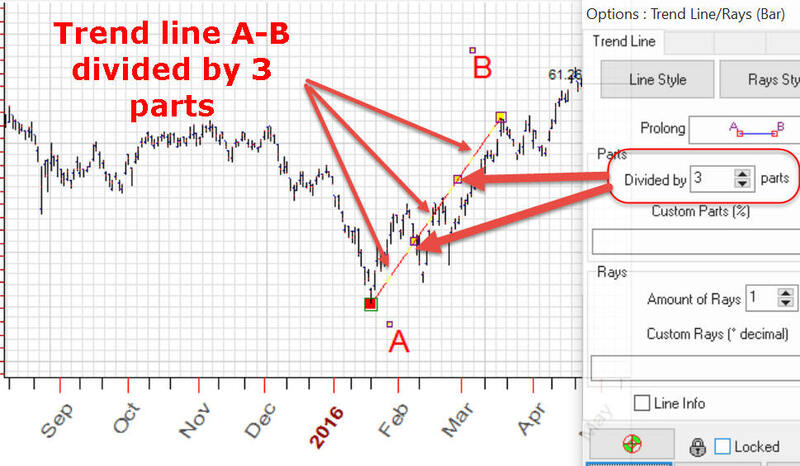 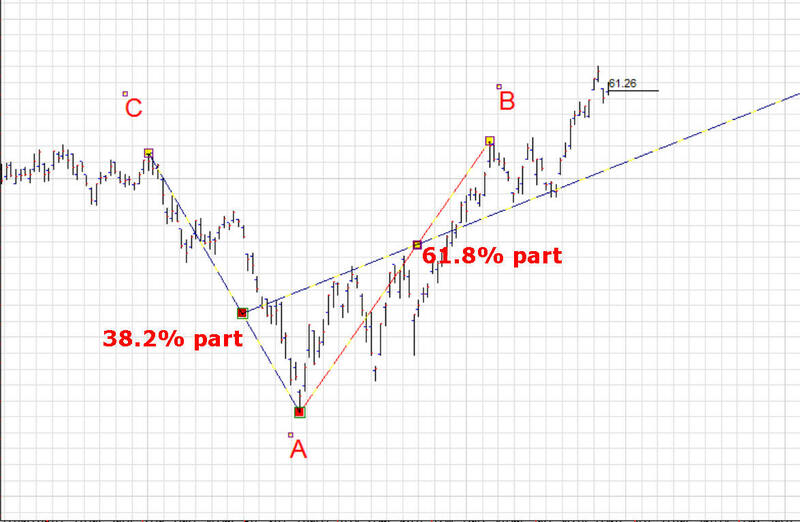 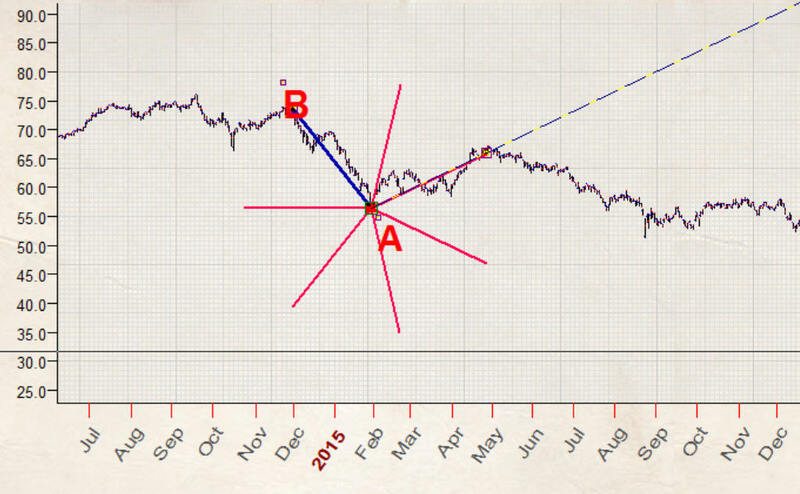 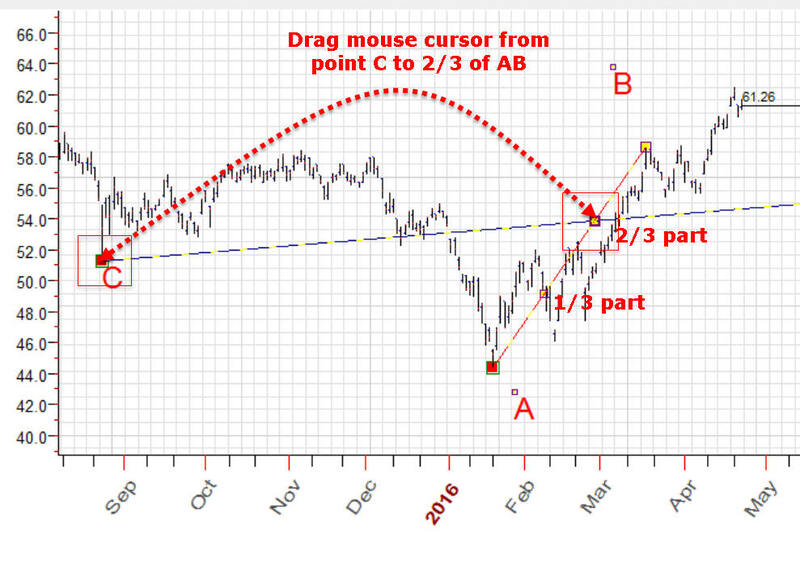 You can do things like the one below (it is not a trading advice): draw a trend line that connects two important turning points A and B and draw heptagon (7 rays). 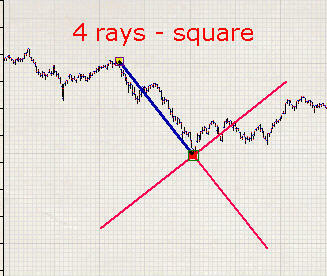 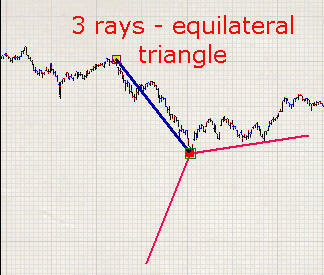 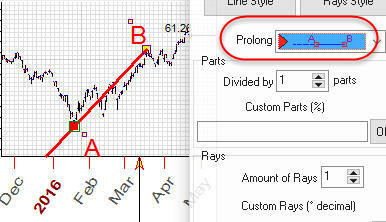 Important notice: be advised if you modify paper parameter the rays can hit different places on the price chart. 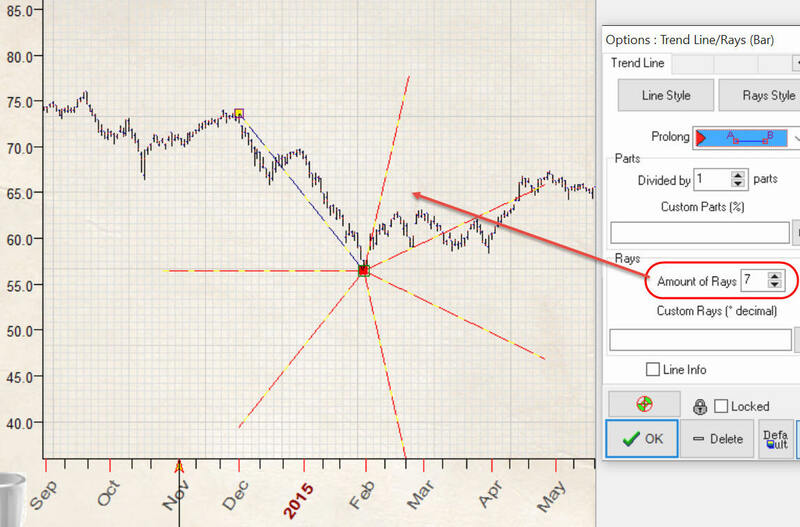 In other words, you may work with ideal figures if your price chart is already properly scaled and you do not plan to change the paper parameters anymore.